…met the demands, first, of the heart of Deity for a perfect human who would do His will; second, He met the demands of fallen man in that as a man He met the Devil and conquered him in honorable open combat. Because of the magnitude of Adam’s sin and its reverberating ramifications, only the death penalty would satisfy true justice. Hebrews 9:22b says that “…without the shedding of blood there is no forgiveness [of sin].” In the Old Testament, it was the death of unblemished “stand-in” lambs and other animals that God allowed to temporarily cover His people’s sins (Heb. 10:1–14). These sacrifices were foreshadows, or types, of the coming Redeemer, Jesus Christ. 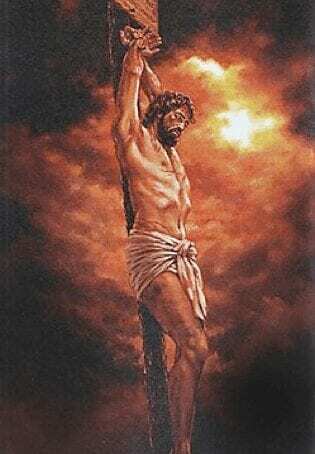 He is the true “Lamb of God” whose blood was shed to take away the sin of the world (John 1:29).